Preserve & Promote Eye Health: Maintain and rebuild macular pigment for visual protection and performance. Supplementing specific ocular nutrients, carotenoids, antioxidants, and minerals, has proven effective in preventing a number of genetic, degenerative eye-related conditions including cataract formation, retinopathies, macular degeneration, night blindness, and more. Vision Max- Preserves and Promote Eye Health. An advance science based formula which provides your eyes with proven array of carotenoids; saffron, lutein, zeaxanthin, meso-zeaxanthin, grape seed extract + AREDS2 vitamin and minerals which cross the blood brain barrier, reduce oxidative stress to the eye, support and optimize eye health. A science-based formulation that support retinas metabolism, structure and function fighting oxidative stress and promoting blood vessel health. Maintain and rebuild macular pigment for visual protection and performance. May help with cataract, dry eye, blurred vision, eye-fatigue, eye-floaters, night blindness and macular degeneration. In addition, the active ingredient in Vision Max plays a vital role in mental clarity, promoting healthy memory and enhancing mood, lowers cholesterol levels, control blood pressure, boost immune system, energy, and more. Study by National Eye Institute showing that taking Saffron supplement with selected nutrients can help reduce the risk of progression in people with moderate to advanced AMD. And, University of L'Aquila, Italy studies on Saffron and retina; showing its effect on eye performance genes and slowing down the possibility of blindness, and reversing its course. Research strike gold - saffron found to help vision loss. Age-Related Macular Degeneration is a progressive eye condition that damages the macular, the part of the retina responsible for central vision. When the macula is damaged, changes in your central vision may occur including; blurriness, distortion of images, potential loss of central vision. AREDS 2 study (Age-Related Eye Disease Study) proved that a revised formula consisting of the AREDS formula without beta-carotene, adding lutein and zeaxanthin reduces the risk of progression of Age-Related Macular Degeneration by an additional eighteen percent compared to those in the AREDS 2 study who took the original recommended formula from 2001. The subset of participants that took lutein and zeaxanthin and no beta-carotene reduced their risk of developing advanced stages of AMD by 18% compared to the those in AREDS 2 who took the original supplement with beta carotene. Furthermore the study showed that in 5 years the participants that took the new formula to have less risk of progression of AMD than the people that took the original formula. In fact, the AREDS 2 formula information proved to decrease the risk by 18 percent. Saffron was praised not only clear eyesight and the brain, but also with unique properties of being antidepressant, anti-inflammatory, antispasmodic; decreases gas and indigestion, relieves muscle spasms and rheumatic pain, relaxes nerves, lower blood pressure, promotes better sleep, supports cardiovascular health, immune system and more. SaffronÃƒÆ’Ã‚Â¢€ÃƒÂ¢Ã¢€Å¾Ã‚Â¢s composition, rich in safranal, picrocrocin and crocin, with antioxidant and anti-inflammatory properties is able to boost the body's internal anti-oxidants defenses, and play a critical role in reducing the oxidative stress. By strengthening the body's primary oxidant system, you may offer to you body the most powerful free radical protection available today. Crocin increases blood flow, being a nutrient supply of retinal structures, rich in lycopene and carotenoids, that protect from free radicals while being a source of vitamin A. Vitamin A strengthens the immune system and is an aid to the reproductive system. Safranal, that can be naturally found in saffron, is an active compound with retinal protective effects, thus contributing to the eye health properties of saffron. Retinitis pigmentosa (RP) is mainly caused by the P23H mutation of the rhodopsin-encoding gene (RHO), according to recent studies. This eye problems causes degeneration of retina and, eventually, loss of vision. 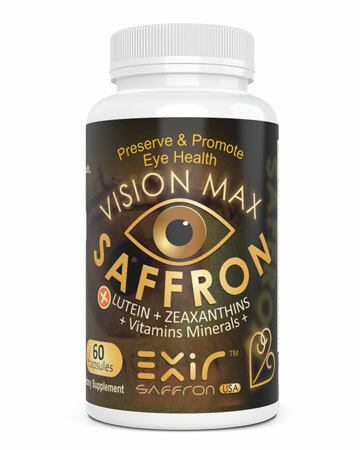 Zeazanthin - Taking Zeaxanthins through saffron dietary supplements increases macular pigment optical density (MPOD) in human eyes which in turn reduces the risk of age-related macular degeneration (AMD). Improves vision in our daily lives, particularly when our eyes are challenged by intense light such as glare from the sun, a camera flash, or blinding headlights at night. Lutein - Emerging evidence points to Lutein also playing a role in visual performance. It is all about how well we see find details, if we can distinguish between different objects (contrast) and recover sight after a flash of bright light. They form a filter (macula pigment) over the part of the retina responsible for detailed vision. This filter blocks out blue light and haze from strong light, which in turn increases the eye's tolerance fro bright lights. Studies have shown major causes for cataract formation are free radicals (damaging molecules) which mediate the formation of cataract. Among the natural antioxidants and carotenoids lutein are well know for their anti cataract properties. With a notable amount of carotenoids and antioxidants, grape seed extract has been known as a means to improve vision. Antioxidants are able to counter oxidative stress in the retina and lower your chances of developing macula degeneration. This powerful potent supplement has also been proved to be safe for current or former smokers being beta-carotene free. It is a unique blend of saffron, antioxidant carotenoids, vitamins, minerals to promote and preserve eye health. With Exir's Vision Max you are not only buying a product, you are purchasing a science-based formulation. 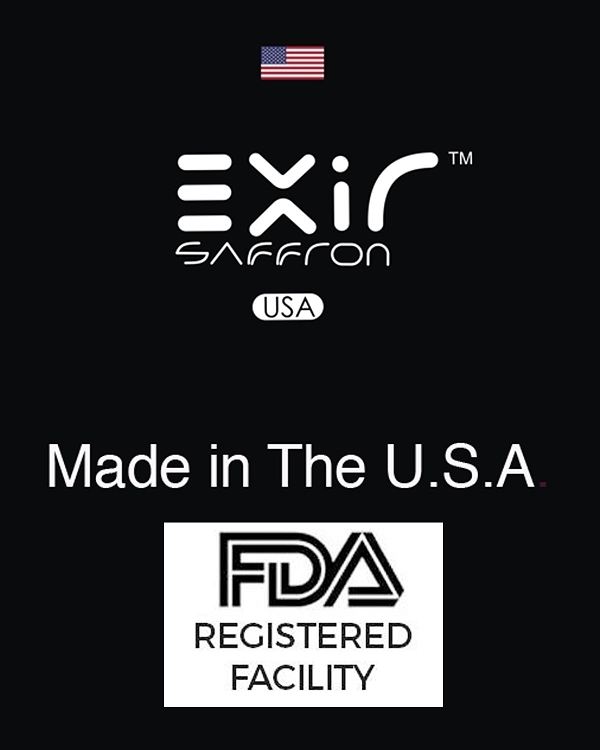 My mother has not taken the Exir Saffron tablets due to the excipients used to make the tablet. Maybe she should, but we have always been careful with supplements with lots of excipients from sources we do not know. However, my mother did take one bottle of your Exir, Vision Max capsules and I would like to tell you of her results from that bottle. I am a medical doctor and i have been caring for my mother for the past 10 years. My mother, is 95 years old. She has been suffering a decline in her vision due to macular degeneration since 2009. Since 2012 she has not been able to read normal size print. She could read large print until 2014. Then she could not even read her large print books. We have been trying other vision supplements for several years without any improvement in her vision. 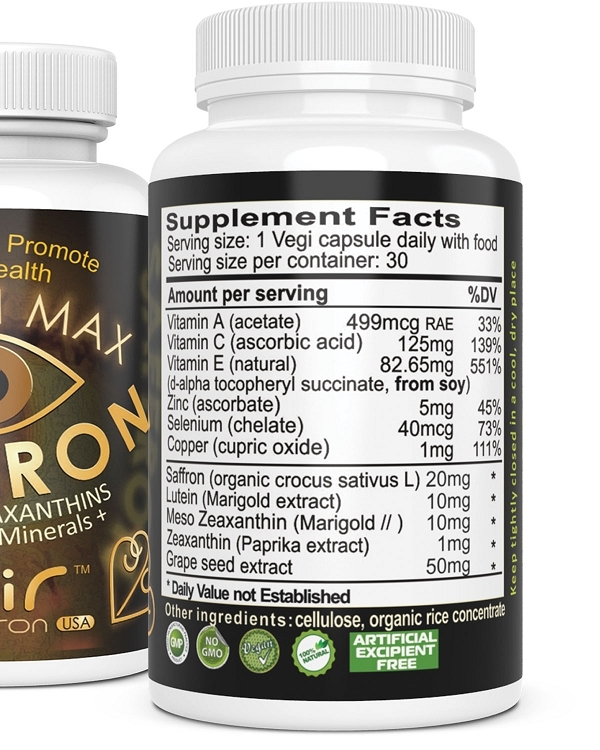 In July of 2015 my mother began taking 1 to 2 capsules of Exir Vision Max per day. I opened each capsule and dumped the contents on her salad to avoid the capsule. We ran out of the bottle in August. A week after finishing the bottle, for some reason, my mother decided to look at her large print book of Walt Whitman's Leaves of Grass. I was so surprised to hear her reading the poems out loud. She read them as she could 2 years ago, without a hitch. She has continued to read every day since then. We are all very happily surprised and are eagerly waiting for the next batch of Exir Vision Max. For the last month, my mother has been taking 2 cups of tea with 5 threads of saffron and a pinch of tumeric daily while we are waiting for the Vision Max, in hope that her improved eyesight will continue and so far, it has. I and especially my mother aver very pleased to find something natural that has actually helped improve her failing vision. I honestly did not think that it was possible. I have dry AMD (Age Related Macular Degeneration, which so far has mostly affected my left eye to the extent that I cannot read or see people's faces on TV with that eye. My vision got worse with each eye test every six months until the last one when the vision in my left eye improved slightly. I'm hoping that the very slight improvement was due to my taking one capsule of Vision Max a day since August 23, 2014. 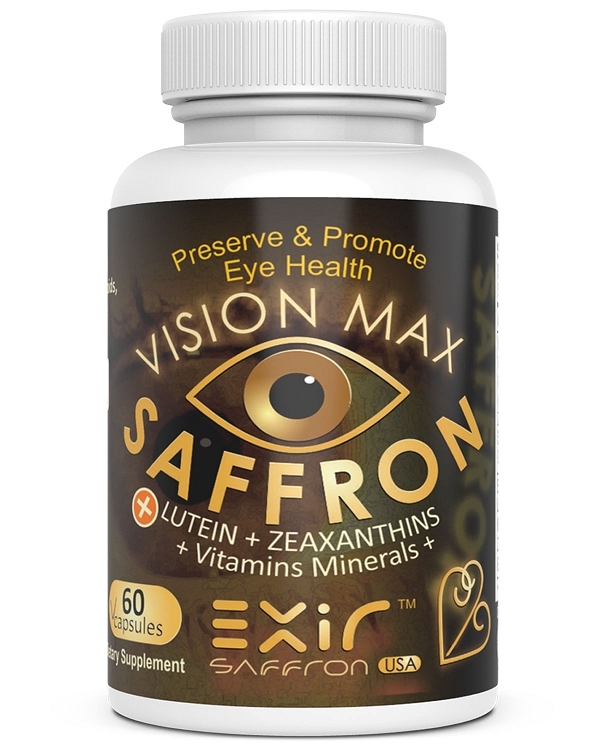 The capsule contains 20 mg of Saffron, and according to my research, 20 mg of the highest quality of Saffron a day is sufficient to help restore and improve visual performance. Vision Max is giving me hope for my vision and independence! I was diagnosed with wet ARMD in Sept. The only treatment offered by the physician was injections into my eye. The costs for these injections is astronomically high ($2000 each). After discussing this with my Naturopathic Dr., she recommended Saffron. After three months, it seems that the "wiggling" lines are slowly diminishing. I will continue using your product and am very pleased. Very good product. Saffron adds to the pigments in the eye, which help the vision. Remember that saffron is a very potent colouring agent. The eye doctors say clearly that the most coloured a food is the better it is for the yes. 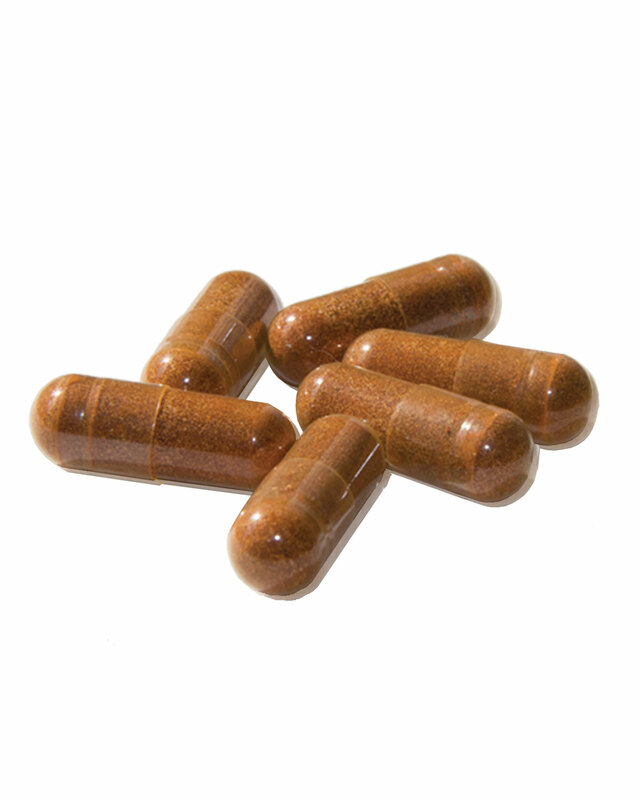 Lutein an zeaxanthin are a must against macular degeneration. These pills contain both of them, in the right amounts and right concentrations. Very well Packed. It seems have a good result on my macula degeneration. Have had numerous eye issues for years, some involving pain & discomfort. Taking this supplement daily mitigates much of that. An excellent product. I have Macula degeneration and have used Vision Max for some time. I have noticed the difference and my Retinal Doctor has seen improvement. Good product.